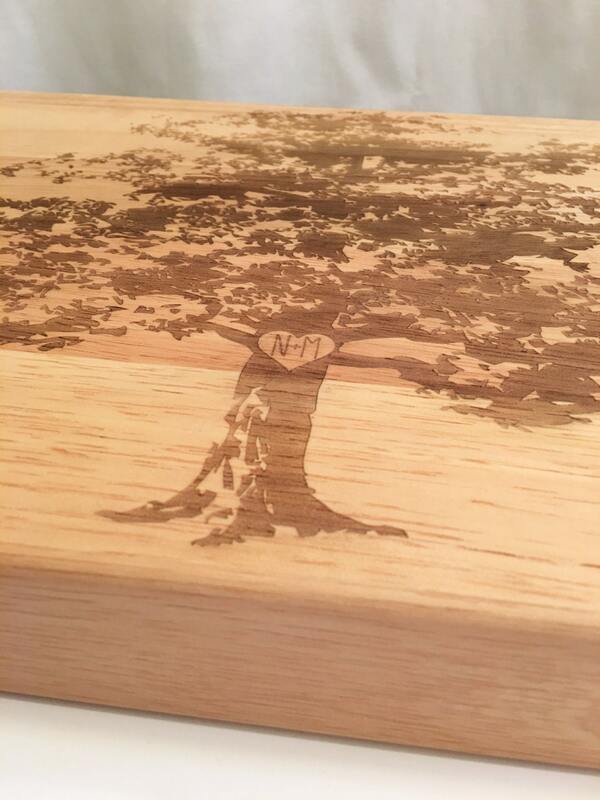 Large Custom Tree Cutting Board - Wooden Cutting Board, Personalized Cutting Board, Custom Engraved Cutting Board - 18" x 12" x 1 3/4"
Laser engraved with a large tree personalized with the initials of your choice, this board makes a beautiful gift. 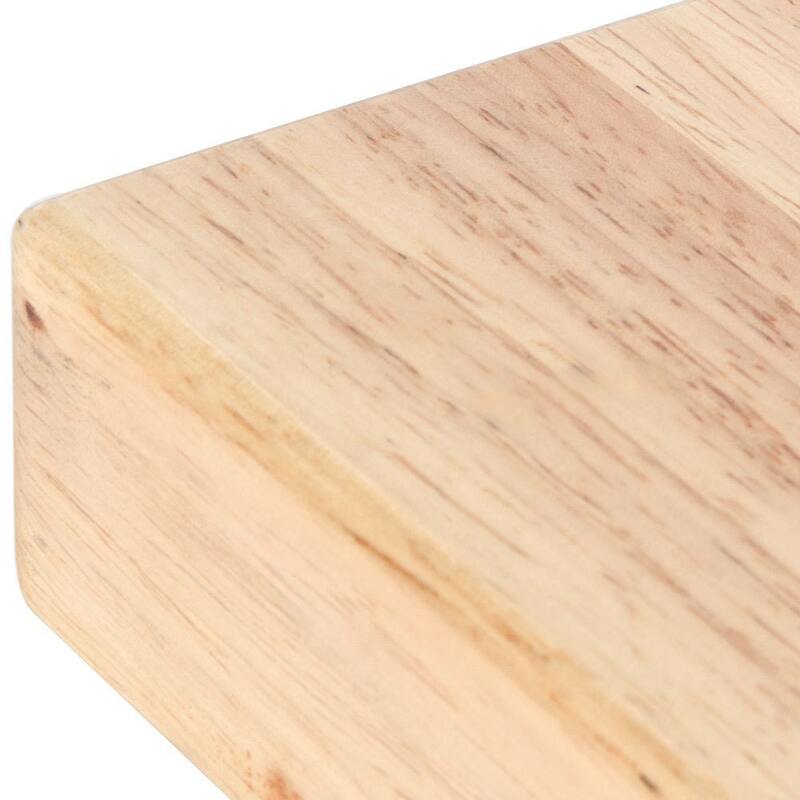 This is a great quality wood cutting board, that is heavy and beautiful looking. 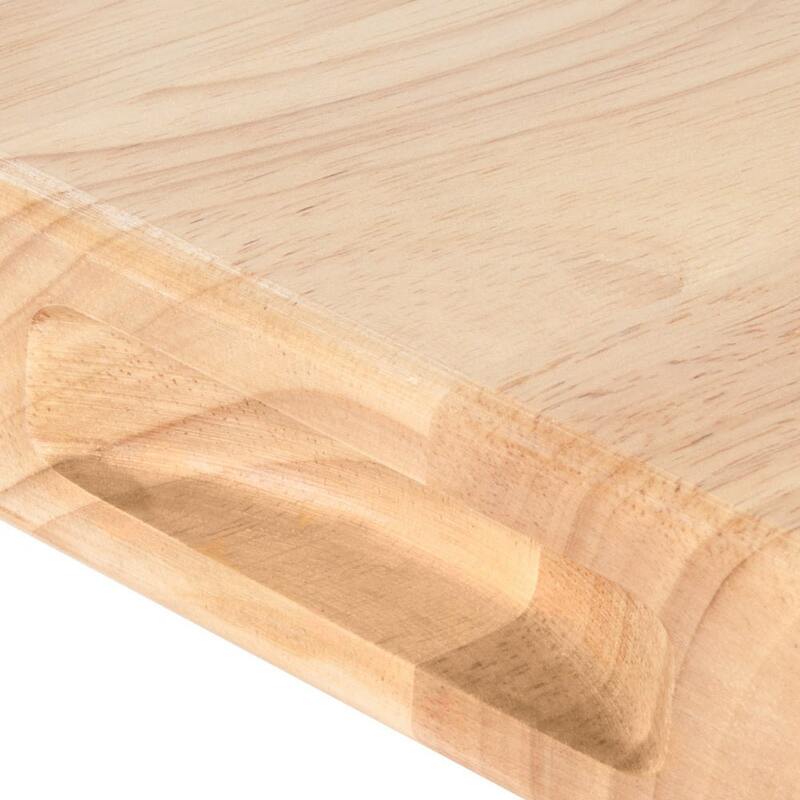 With its 1 3/4" thickness, this board is sturdy enough to use with your biggest and sharpest knives. It features recessed handles which makes carrying it around the kitchen a breeze. This versatile cutting board is also reversible and the attractive pattern of the wood carries through to the opposite side. 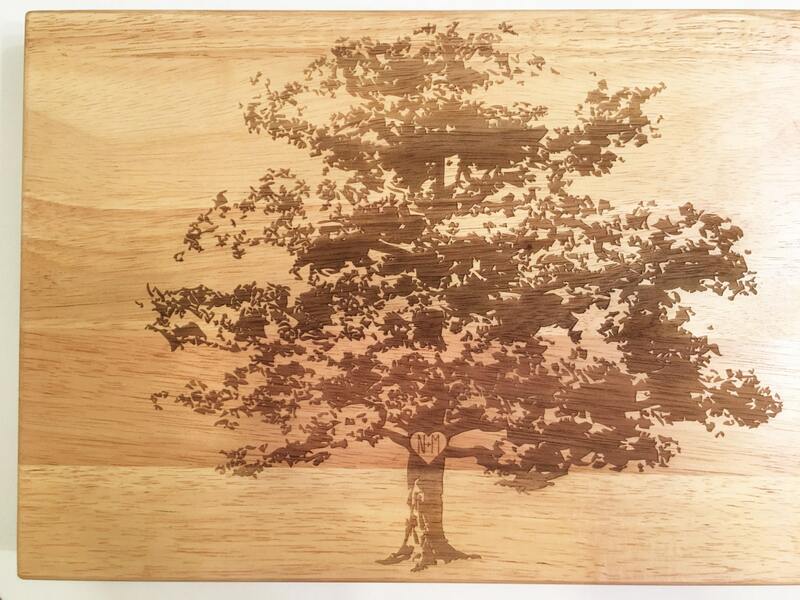 Preserve your laser engraved image by cutting on one side and using the engraved side to enhance the beauty of your kitchen! Your cutting board will be laser engraved in the design exactly as photographed replaced with your custom requested engraving. This board is made of top quality hardwood and is sealed with a protective laquer. Clean it in warm, soapy water, then rinse and dry thoroughly. Do not soak. Protect by oiling occasionally with vegetable oil. ►Each cutting board is unique and due to the nature of wood, the grain may vary on each board and may differ from photos. Just like you, items are unique and special in a way that is all their own. 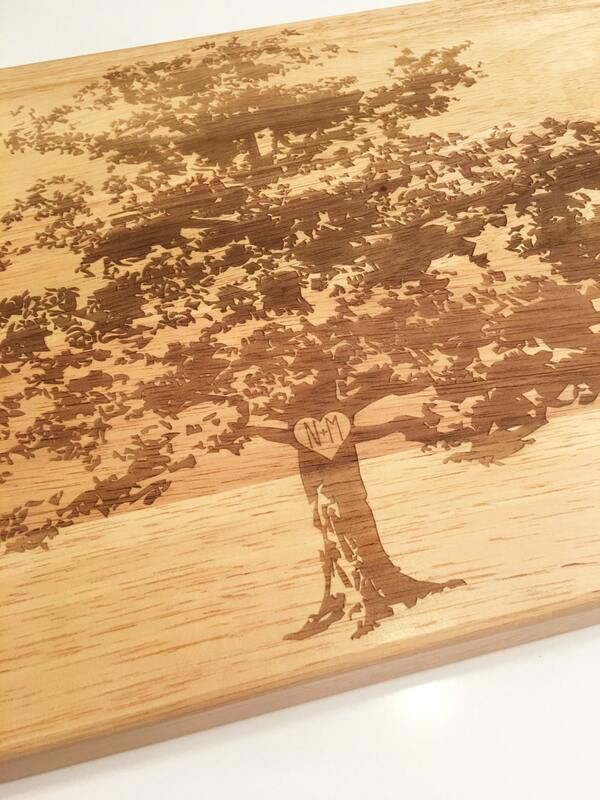 ►Do you have a custom logo or want to create your own custom cutting board from scratch? Send a message with your vision to receive a custom listing. All logos need to be approved prior to ordering.